With Rocky Ridge Lifted Jeep Wranglers growing in popularity, it is common to have questions about these autos. We want you to have answers to all your questions before you buy a lifted Wrangler, so check out the answers to some of the most common questions below. Why Would I Want to Lift My Jeep? Everyone has a different reason for choosing to lift their Jeep Wrangler. Some appreciate the appearance of the taller stance of these vehicles, while others like the enhanced view of the road from the extra ride height. Lifted Jeeps are particularly popular for driving off-road and on rough terrain due to their additional ground clearance and the ability to use larger tires and wheels. Is a Lifted Jeep Safe? It is definitely safe to drive or ride in a lifted Jeep. 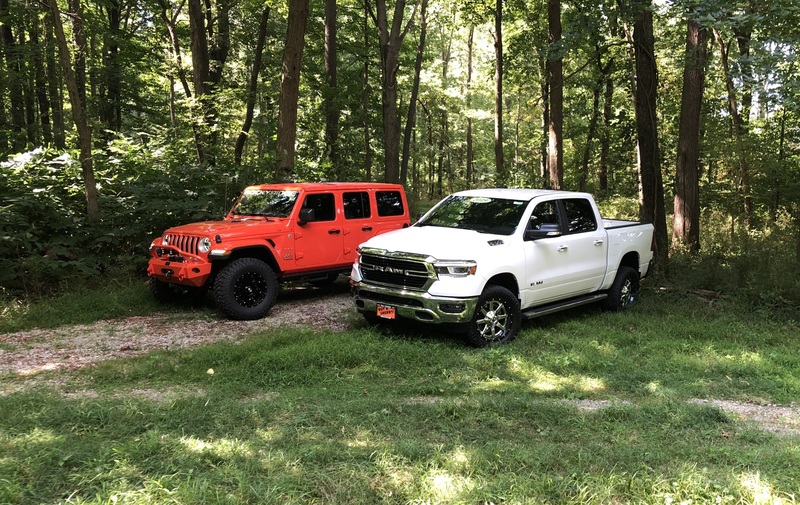 All Rocky Ridge lifted Jeep Wranglers and trucks are built to FMVSS standards, meaning they meet the same safety standards as any stock factory truck. Rocky Ridge lifted vehicles have also undergone extensive testing for emergency avoidance maneuvers, tight cornering, and more. Can I Get a Rocky Ridge Lift Package on My Jeep Wrangler? In addition to the range of Rocky Ridge lifted Jeep Wranglers already for sale at Sherry 4×4, it is possible to get a Rocky Ridge lift package added to your current vehicle. However, keep in mind that your auto must meet some key requirements, and this will take longer than buying a lifted Jeep Wrangler. For our team to get a Rocky Ridge package on your Jeep Wrangler, it must be less than two years old and have less than 25,000 miles on the odometer. Can I Install My Own Rocky Ridge Lift Package? While our team can help you add a Rocky Ridge lift package to your Jeep Wrangler, we do not sell these packages for customers to install themselves, and no one does. This is one of the factors that sets Rocky Ridge apart; one of the biggest reasons we choose to offer these lifted Jeeps is Rocky Ridge’s reputation for high-quality lifts and its decades of experience. In fact, even the newest team member at Rocky Ridge who does lifts has already completed nearly 1,000 installations. Where Can I Have My Rocky Ridge Lifted Jeep Wrangler Serviced? When it comes time for service or any warranty needs on your Rocky Ridge Wrangler, just bring it to our service center at Sherry 4×4. Since we specialize in these lifted Wranglers, in addition to other autos, our service center technicians can give your auto the highest level of care.